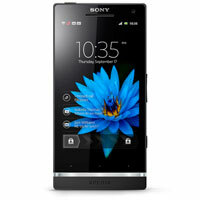 Sony has announced two Xperia NFC smartphones, the Xperia Ion which is exclusive to AT&T in the US and the Xperia S which will be available worldwide this quarter, as well as read-only NFC Xperia SmartTags. 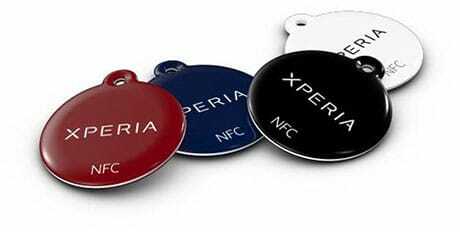 Sony Ericsson, the phone manufacturing joint venture in the process of becoming 100% owned by Sony, has unveiled its first NFC smartphones, the Xperia Ion and Xperia S. Xperia SmartTags, read-only NFC tags that will ship with selected Xperia phones, have also been announced. The Xperia S is the first of a new generation of NXT series smartphones and includes a 4.3-inch HD screen, 12MP camera and 1.5GHz dual core processor as well as NFC. The phone is also Playstation-certified, enabling it to access the PlayStation games store as well as a range of other Sony entertainment assets including music, movies and TV shows. The Xperia S will begin shipping globally with Android 2.3 Gingerbread this quarter and will be upgraded to Ice Cream Sandwich during the second quarter of 2012. The Xperia Ion is an LTE version of the Xperia S that features a larger 4.6-inch screen but otherwise shares the same specifications. The device is exclusive to AT&T in the US and will ship with NFC pairing and tag reading functionality switched on.